Ultimate Camden Gear Hydration Pack Review For Parkour and Outdoors! / Ultimate Camden Gear Hydration Pack Review For Parkour and Outdoors! A parkour backpack needs to be lightweight, durable, and comfortable. These three combined into one pack at an affordable price point would be a dream product and today we assess this latest hydration pack from Camden Gear. Some People may Face Fitting Issues. 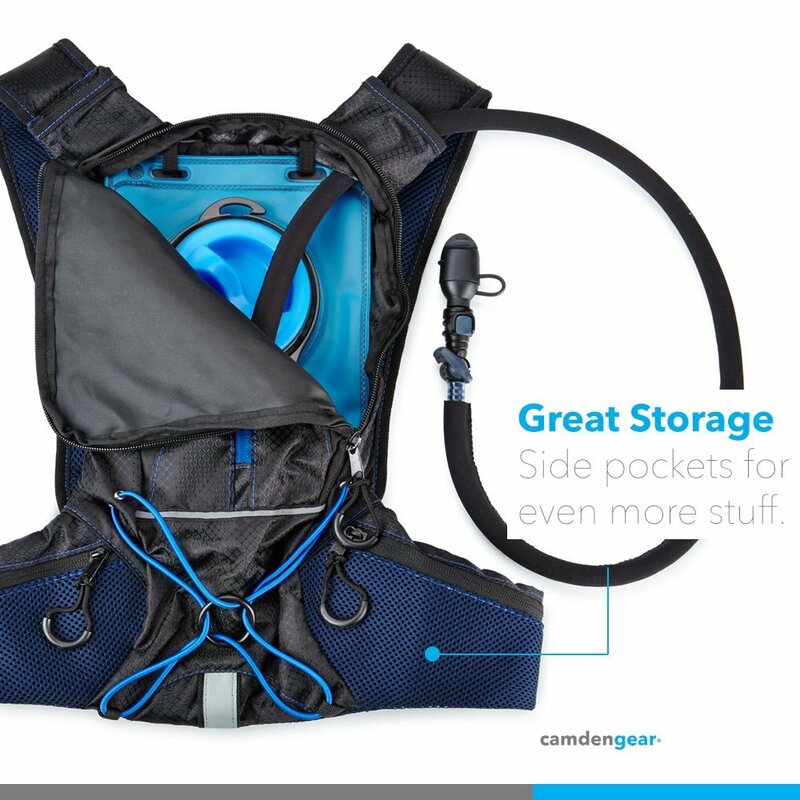 Camden Gear Hydration Pack is perfect for a day of parkour with its ample amount of room for storing all the essentials as well as a decent amount of water for the adventure. Not only does it check all the necessary storage and hydration boxes, but it comes equipped with durable, adjustable straps that means no rubbing or chafing during your runs and jumps. These straps also ensure the backpack does not move around on your journey – a must for a parkour pack. This makes it perfect for parkour or running as the light weight and comfortable nature makes it easier to move in and grant you more freedom to enjoy your journey. 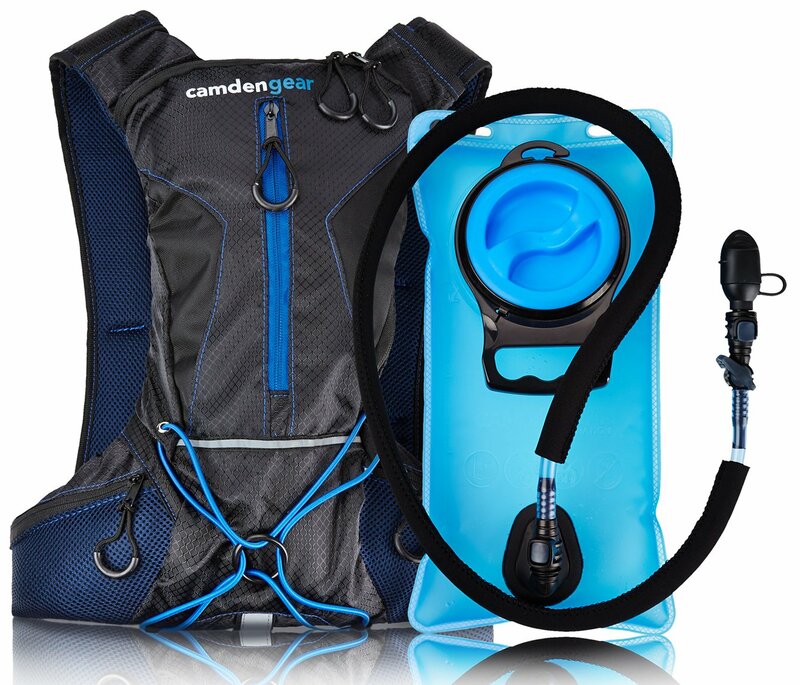 Camden Gear Pack is shaped as many hydration packs are. It is nearly all black with light blue accents. It looks nice, if a bit unassuming, but the quality of the materials is decent for the price point. The bag maintains a low weight as well. It is certainly not a heavy bag by any stretch of the imagination and that is a good thing – the focus is on you and your jumps as you move through your run. Two straps come from behind to sit atop the shoulders with adjustable chest straps locking it in. 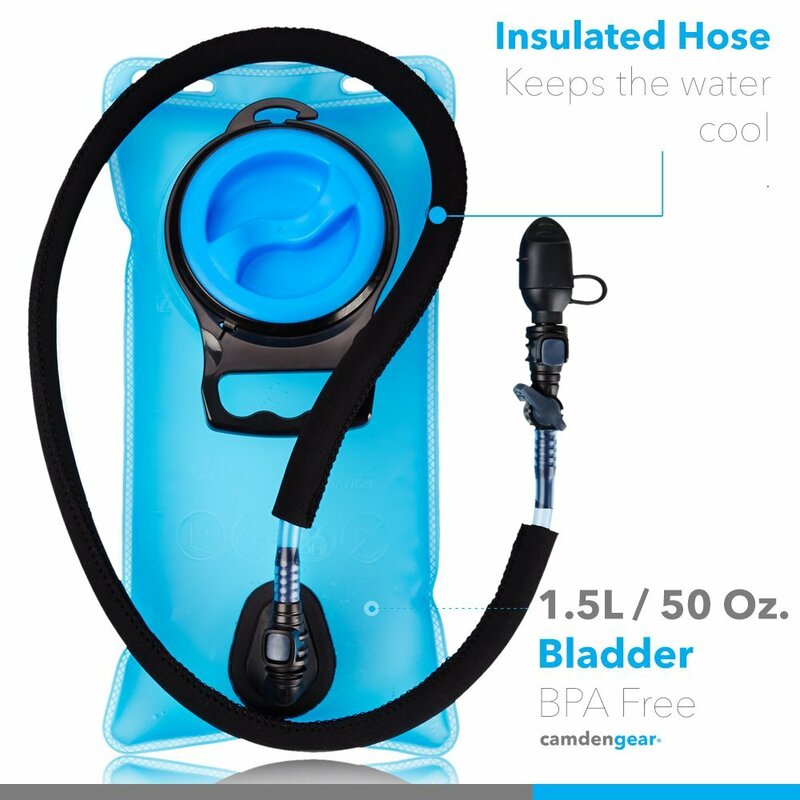 A nice insulated hose to keep the water or liquid of your choice cool wraps around, connected to the straps. These mesh straps are lightweight with very little padding and depending on how much you load the pack with, can dig into the shoulders a bit. It does not move around due to the front straps, but it can be slightly uncomfortable at times, especially if you pack a heavy load. It can be a bit frustrating but at this point the bag checks many boxes making it a trade off you might have to make if you want what the pack provides. The bag is equipped with a bladder and, as mentioned above, an insulated hose to keep the liquid cool. This is a nice feature at this price point and certainly appreciated during those long runs that make you mega thirsty. Besides the bladder, the bag has plenty of storage space in the main compartment for your choice of snacks, your phone, and a small towel. There also two side pockets with plenty of space for whatever little extras you need. More snacks or your camera will fit perfectly in these side compartments. Camden Gear Hydration Pack is an all around performer for a truly fantastic pack at this price point. These packs increase exponentially in price, but this one provides a nice blend of features and durability at a low end of the spectrum. Its sleek and unassuming style keep the focus on your parkour runs while the adjustable steps allow it to fit and conform perfectly to anybody. This glove like fit makes sure it does not rub against your skin and cause any discomfort, but the more weight you add to the pack, the more the straps can dig in. Though they do not move, the weight still creates pressure which can be uncomfortable in the long run. The bag has plenty of storage for your phone as well as some snacks and the 50 ounces of water you can take with you is plenty. The nice touch of an insulated hose makes this pack stand out at this price point. All in all, this pack is a solid performer and certainly worth a purchase.